Is there anything cozier than the idea of bundling up in a warm sweater, grabbing a hot cider, and meandering through the colorful confines of a fall-filled orchard in search of the ripest produce? 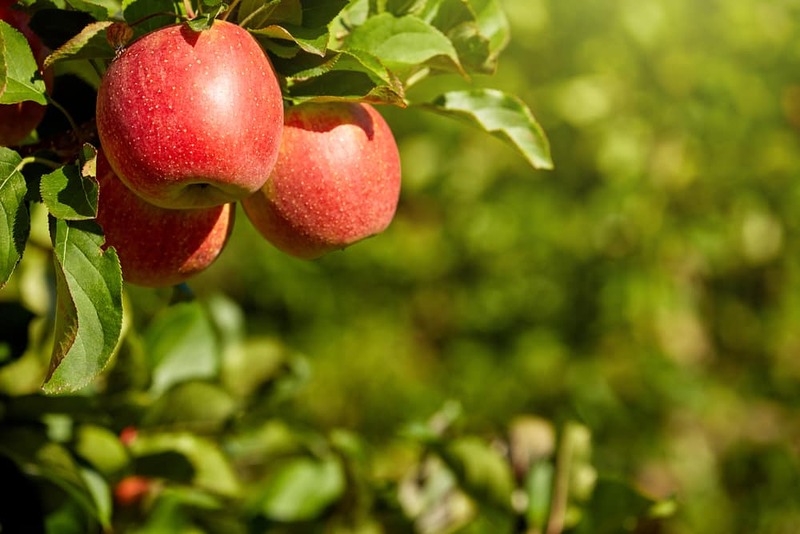 Well, if this sounds like the perfect autumn afternoon, it’s time for you to get to picking at these best orchards near Richmond, MI. 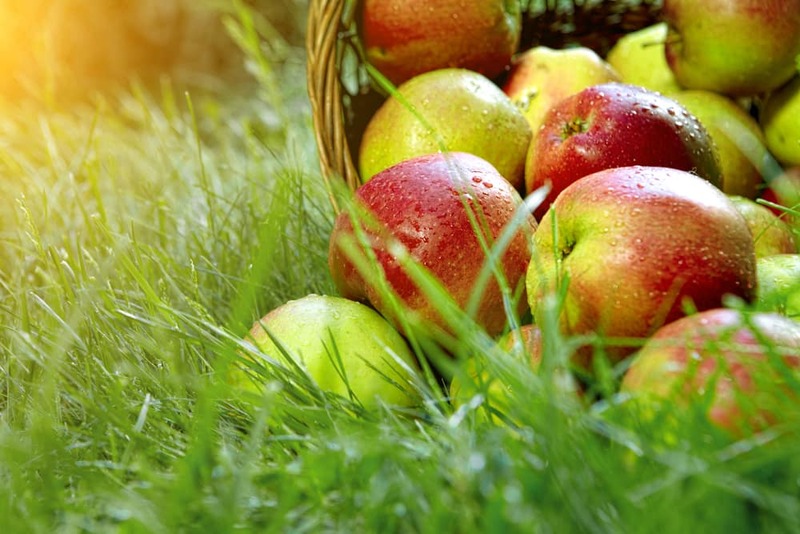 At these local homesteads, you and your family can enjoy the best of the season and gather up a bushel of perfectly juicy fruits and veggies that’ll end up in your famous apple or pumpkin pie. Let’s take a look! With numerous farm stands, fun centers, and U-Pick locations throughout Michigan, harvest excitement begins on the grounds of Blake Farms. Since 1946, the cultivators at this beloved farm have been churning out award-winning cider from their cider mill and growing all the autumnal gems you could want. No matter if you stop by Blake’s Orchard & Cider Mill or Blake’s Big Apple, you’ll find all the produce you need to whip up an autumn-inspired meal or dessert. Of all the amazing produce at this local landmark, one thing stands out: the apples. These brightly hued orbs come in a huge selection of varieties, so that everyone in your family can snack on their favorites. 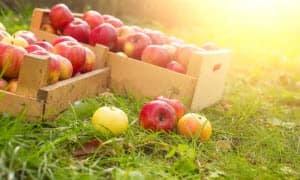 For example, both the Big Apple and Cider Mill locations boast the bounty of apples like Gala, McIntosh, Golden Delicious, Jonathan, Honeycrisp, Red Delicious, and so many more. Visit their Facebook page to scope out pictures of their famous apple cider donuts. But, be careful not to drool on your keyboard! Got a crowd of little ones who are eager to get started on their produce-picking adventure? Well, if so, Miller’s Big Red Orchard begins every U-Pick journey with a wagon ride that’s sure to thrill your tiny tots. Once you’ve arrived, your family can pluck those gorgeous fruits from the bountiful trees, vines, and bushes. During the fall, this farm gets dotted with red, yellow, green, and orange thanks to their apple and pumpkin u-pick fields. After that, bring your kids over to the petting zoo to spend some time with the cute critters. Then, grab a freshly baked pie or apple cider doughnut from the farm stand. Before the fall season really kicks off, it’s essential to make sure that you adorn your front step and home with plenty of plump pumpkins. And, at this farm, you’re welcome to wander the pumpkin patch in search for the perfect, future Jack O’ Lantern or choose one of their already-picked pumpkins. Either way, you’ll be all set to ring in the coziest time of year. Don’t forget to stop by their Facebook profile to see what other fruit fanatics have to say! Since 1813, Westview Orchards Winery has been serving up bushels and bundles of locally grown produce, and earning recognition from residents for their dedication to freshly harvested fruits and veggies. From September through October, the committed farmers at this well-known homestead make way for families to pick their own pumpkins, apples, and vegetables from their beautiful surroundings. In addition to that, this epicurean emporium also pours out glasses of their homemade wines and hard ciders. The on-site winery and cider barn are open all year round, so that you always have a chance to appreciate the fruits of their hard work and grab a bottle to take home. To sample some of Michigan’s best autumnal produce, visit this farm for their apples, pumpkins, and veggies. But, most of all, make sure to stop by during one of their Fall Weekends. Here, your children can take part in Indoor Mazes, the Spookley Straw Bale Maze, and more. Plus, you’re free to climb aboard a horse-drawn wagon ride with your kids or watch your son or daughter try out a pony ride. All in all, you and your family will have a blast with a visit to this destination’s autumn activities. Stop by their Facebook for more information about their upcoming events!